You guys. Last week was a doozie. Work was crazy, the kiddo had a cough/cold early in the week and then caught a stomach bug at daycare on Friday. We made it through the weekend, I got my menu plan done, I planned out recipes for upcoming events, developed said recipes, ordered groceries, and got laundry done. Stomach bug aside, it was a pretty productive weekend, even with the torrential downpours we had on Saturday. That’s about all I can ask for on a weekend. 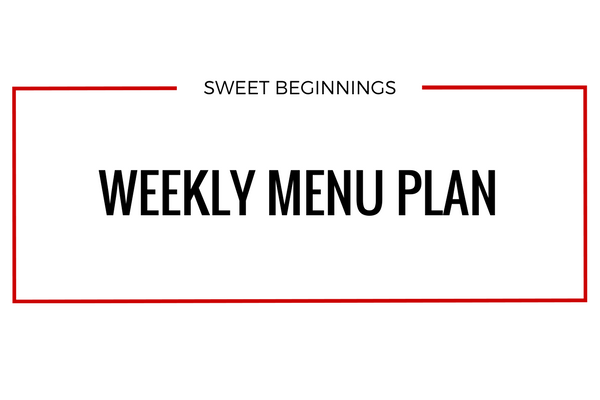 Menu plan below, including some fun recipes for upcoming events.